Monroe, OH, April 16, 2018 – Skilled labor shortages continue to plague Ohio contractors. 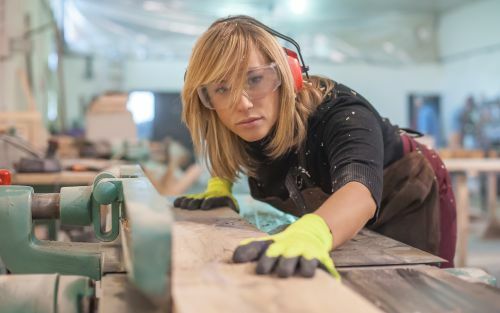 The Indiana/Kentucky/Ohio Regional Council of Carpenters (IKORCC) is looking for new apprentices to help solve the problem. “With growing public and private investments in infrastructure and construction, entering the skilled trades is a sure way to secure your future and start a real career you can be proud of,” says IKORCC Ohio Training Director Vince Wright. On Tuesday, April 17, 2018 the Carpenter’s Union will host our annual open house at the Monroe Training Facility located at 361 Breaden Drive, Monroe, Ohio 45050 from 9am to 2pm. Learn more about our apprenticeship program, where carpenters can earn while they learn. Benefits of joining the union include high wages, healthcare, a pension, job stability, continuous training and more. Journeymen make around $60,000 a year and can earn even upwards of $80,000 with overtime. Tour our Monroe Training Center, watch current apprentices battle in skills competitions, talk to local politicians and visit vendors at the open house. Visitors will also learn about our specialty training for carpenters, millwrights and floor coverers. Each of the IKORCC Training Centers are completely self-funded, with no public funds utilized. The Monroe Training Center currently has 461 apprentices working their way to becoming journeymen. The IKORCC represents more than 32,000 professional tradespeople in 33 locals in Indiana, Kentucky, Ohio and parts of West Virginia. A proud affiliate of the United Brotherhood of Carpenters, which has a century-plus tradition of representing the best of the building trades, the council works in partnership with more than 30,000 contractors, helping them find the best possible talent for their projects.